Comes from Chester County residential construction sites. Tested by Penn State University & approved for grass growing. Our best product for raising yard elevations, filling small holes, yard repairs and growing grass. Soil mixed with organics & mushroom soil compost. Best for raising beds, creating new beds & amending existing soil. Lighter weight soil for faster & longer root growth. 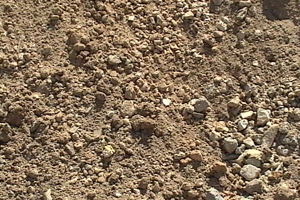 Unscreened sub-soil used to fill in larger & deeper holes, raise entire yard areas, & also around foundations to raise elevation & prevent rain water infiltration. 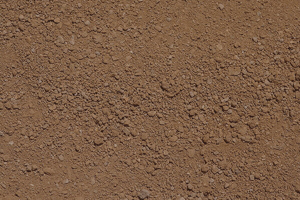 Should be covered with approximately 3" of topsoil if you want to grow grass. Used to cover grass seed. Holds in moisture for seed germination. 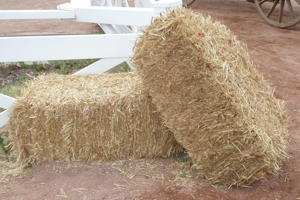 One bale of straw covers approximately 300-400 square feet.